Setting up a shrimp tank can be a breeze or it can be perplexing. It is sensible to start with a 10 gallon tank as it wasn’t too big or too small. Upgrading the size of your tank can come later when knowledge and experience are at hands. Besides that, buying a 10 gallon tank won’t cost too much as this can be an expansive hobby. The next thing after a tank is a filter. There are lots of good filters that you can use. Most filters you will find are sold at local pet stores. 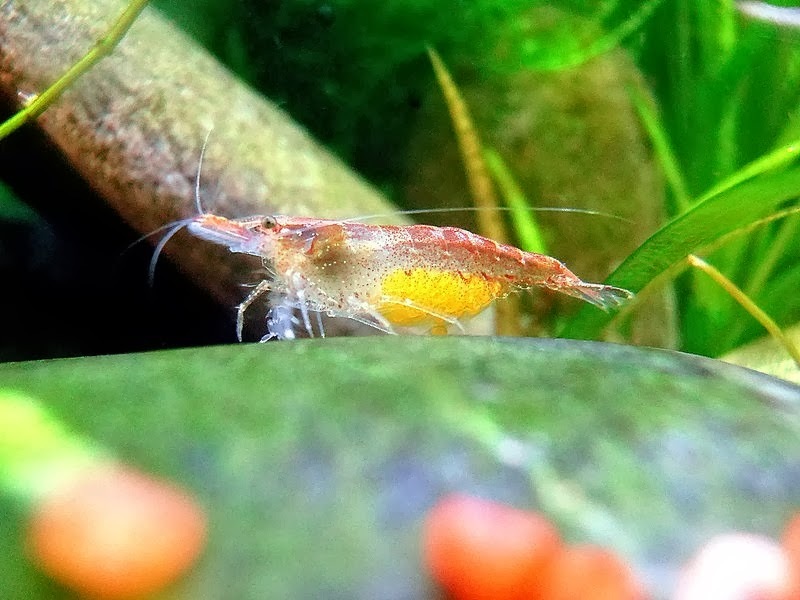 Sponge filters are great to start with because they are easy to clean and work wonders by preventing shrimp or baby shrimp from being sucked up. One great product is the Up Aqua Sponge Filter. To maintain shrimp tank temperature, a heater fitted with thermometer is a great tool. Shrimp tends to get stressed up if they are not in their thermo comfort zone. This can cause inability for shrimp to breed, go off colours or even worse death. Each species requires different optimal temperature, thus it is best if you would do a research before buying your shrimp. Light is also essential equipment for shrimp tank especially when it is planted with live aquatic plants. 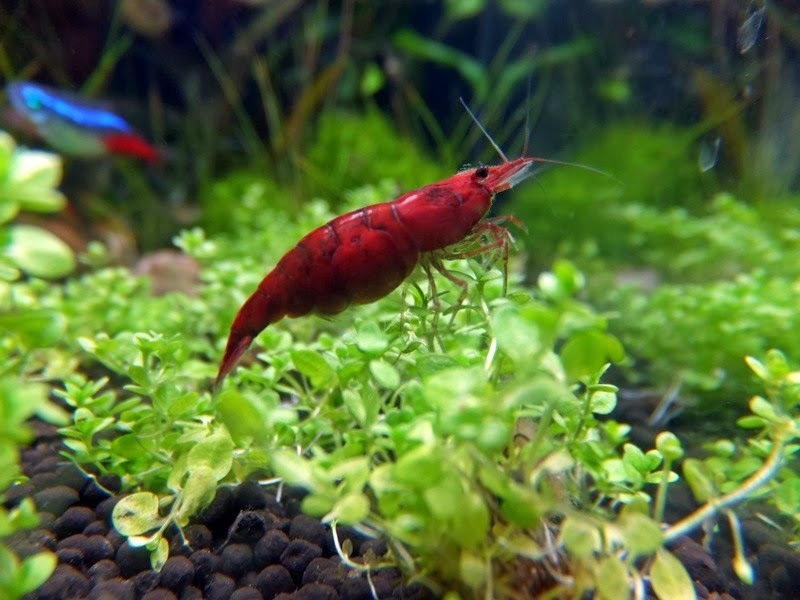 Shrimps love to hangout in natural plants which may provide camouflage as well as food source to them. That is why it is important to choose the right light such as sunlight or bright white light. This may even improve the shrimps’ colouration. 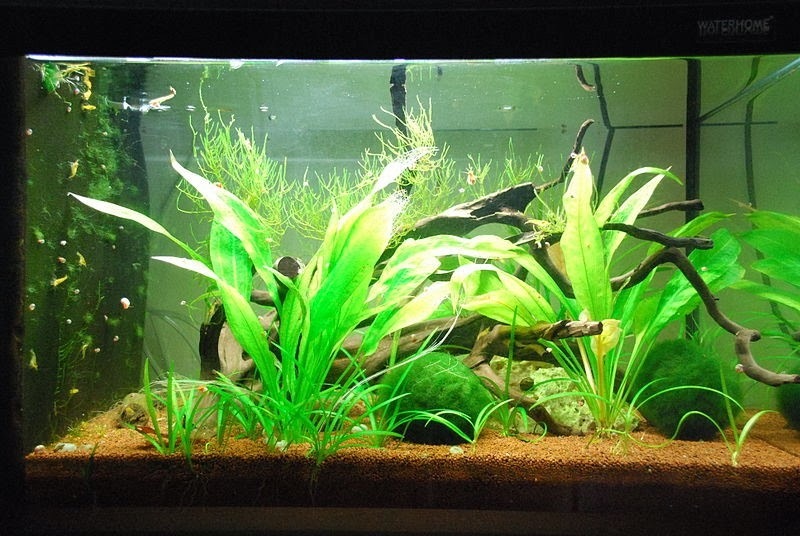 The shrimp tank is highly encourages to have some form of aquatic plants. Not only plants provide cover and serve as aesthetic purpose, they also remove ammonia and nitrates from the water as well as providing natural food especially for baby shrimp. 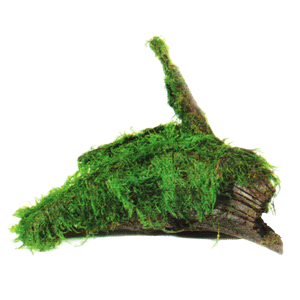 Java moss is commonly used because it acts as a fine comb and holds a lot of microorganisms which the baby shrimp eat. It’s a perfect place for shrimp to hangout. 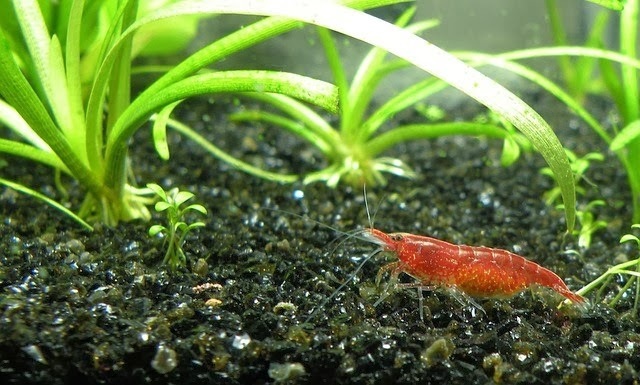 Shrimps and plants thrive well with natural tank beds such as gravel, aquarium substrate or aquarium soil. 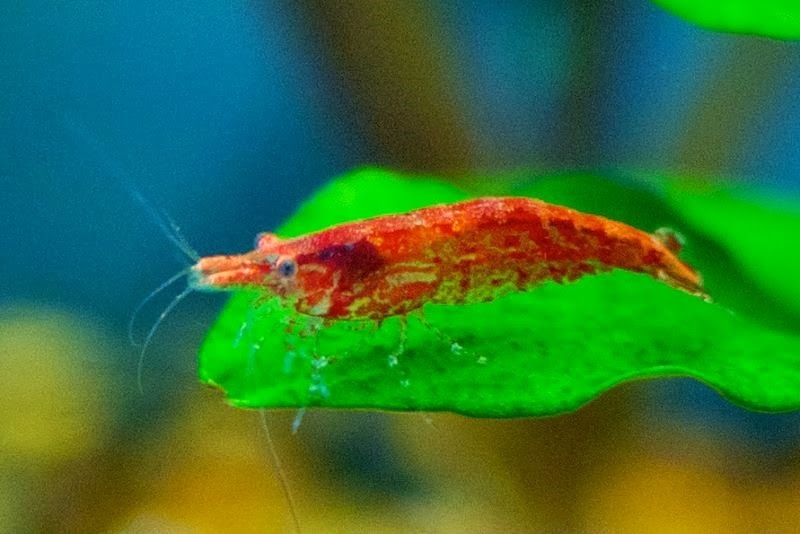 Choosing a suitable tank bed is important as this will influence the pH and water hardness and certain shrimp species are very sensitive to these changes. Some shrimp prefer slightly acidic water whereas some more alkaline water and some prefer hard while some soft. These aqua soils or substrates can be sold in normal pet shops but if you can’t find them there are always online stores. Fluval Plant and Shrimp Stratum is a substrate chosen by many hobbyists who wish to have soft, acidic water. It is collected from mineral rich foothills of the famous Mount Aso Volcano in Japan. Besides that, it is ideal for stimulating growth of aquatic plants where the roots easily penetrate and spread allowing plants to obtain the nutrient in the substrate. Fluval Stratum also helps buffer the low ph. This substrate is best suited for shrimp that fit the soft, acidic requirements. It is suitable for most shrimp such as Cherry Red Shrimp. This substrate provides ideal refuge for baby shrimp as they can easily hide in them. You can also use an inert substrate along with peat to lower pH and hardness, although buffering the pH is more difficult this way. 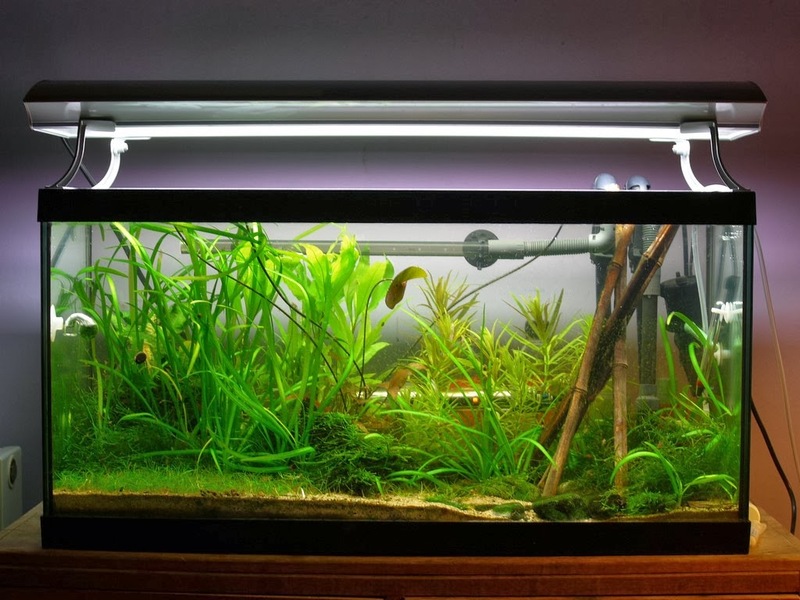 For a hard-water, high-pH tank, you can use an inert substrate instead. Use a smaller amount of peat as well in a tank with inert substrate to keep the pH from becoming too alkaline, but not enough to drop the hardness of the water. All these hard work to ensure the optimal shrimp care can be made simple by using Fluval Shrimp Pack which consists of one Granule, one Mineral Supplement and one Shrimp Water Conditioner. 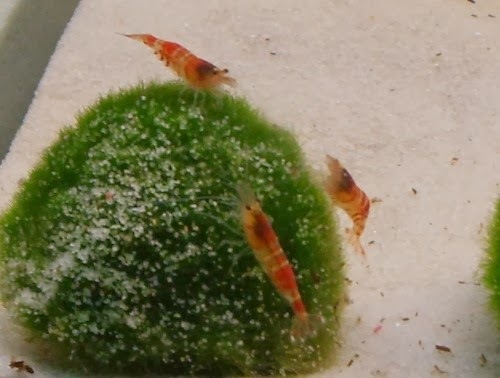 Fluval Shrimp Granules is a highly palatable diet that provides freshwater shrimp with a rich source of nutrients, iodine, proteins, and multi-vitamins. The shrimp Granules contain Advance Yeast Extracts that help support a healthy digestive system and the long term conditioning of shrimp. While Fluval Shrimp Safe makes tap water safe for shrimps by neutralizing toxic elements. Lastly, Fluval Shrimp Mineral Supplement provides shrimp tanks with beneficial minerals and establishes optimal General Hardness levels. Once everything is placed in the new tank and water is filled, the water should be conditioned by adding dechlorinator and cycled for at least 2-4 weeks and allow the tank to mature. This can take up to one month or more however patience is the key to healthy thriving shrimp colony as they are far more delicate and fragile as compared to fishes. 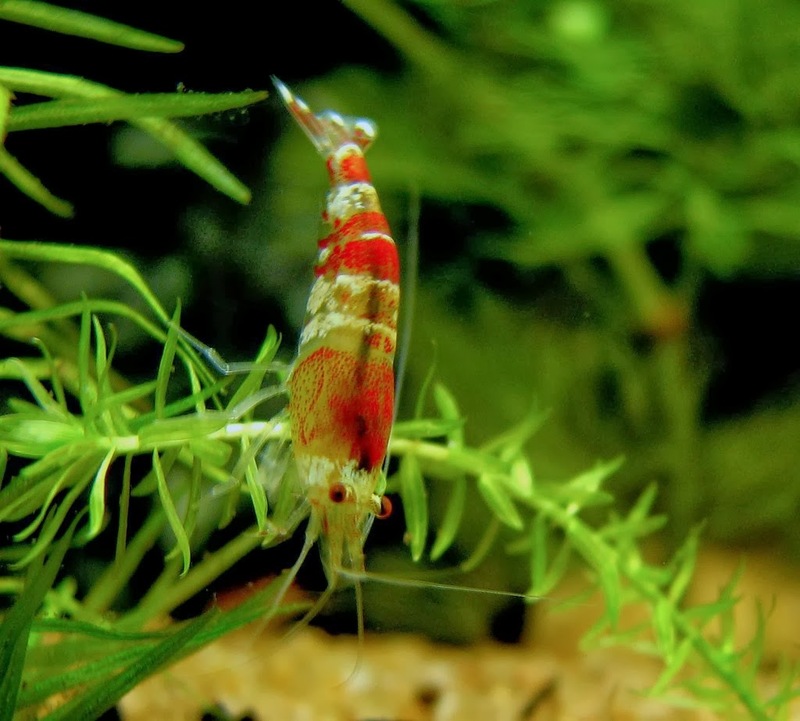 Chlorine can be harmful for both your shrimp and plants. Filter should be run in the first day itself for cleaner water and aeration as well. Next step is planting the live plants and changing the water once a week to get rid ammonia, nitrates and other harmful substances as this can be fatal for your shrimp. Last but not least, it is a MUST to test the water parameters before adding your shrimp. Each shrimp species required different water parameters such as water hardness, pH, nitrate, nitrite, ammonia, dissolved oxygen and many more. These water parameters can be tested easily using commercial test kits. Shrimp are sensitive to water parameters and immediately pouring shrimp from transport bag into your new tank may kill them. Always ask the supplier whether the transport bags are special breather bags. This is important because by submerging the bag in order to equalize water in the tank which is a common practice among aquarist may suffocate the shrimp. The special breather bag allows gas exchange with the environment and submerging the bag will cut of the oxygen supply. Acclimatize the shrimp by placing them into a container and slowly (every 2 minutes) adding 10% of the container volume with your tank water until it’s tripled the original volume. This will take around 40-45 minutes. After acclimatization, gently scoop the shrimp from the container with a small net and place them into your tank. Also, do not immediately feed the shrimp and allow them to explore and get used to the tank. You may feed after 16-24 hours. The art of keeping shrimp is to know which species can go along with each other and which fish can leave them in peace. Certain shrimp species are peaceful in nature while some are aggressive. Generally, it is best to avoid keeping shrimp in community tank because fish even as small as guppy can predate on them. The will be eaten or be stressed up, causing disease, or go into hiding amongst the aquarium plants. 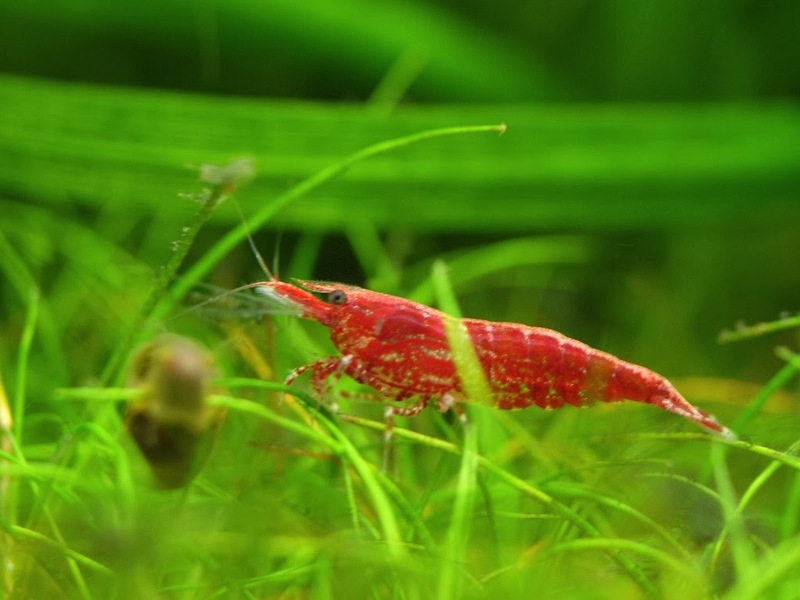 Most of the shrimp that hobbyist keep are genetically selected to portray certain colours whereas wild varieties are more of a camouflaged coloration in order to hide. 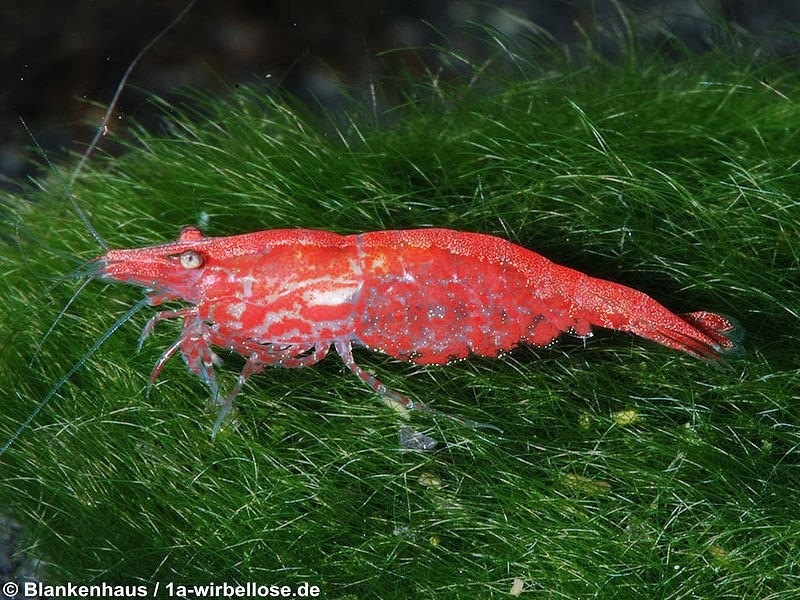 Having a colourful shrimp removes the shrimps natural camouflage defence and makes it easy for fish to find and eat it. 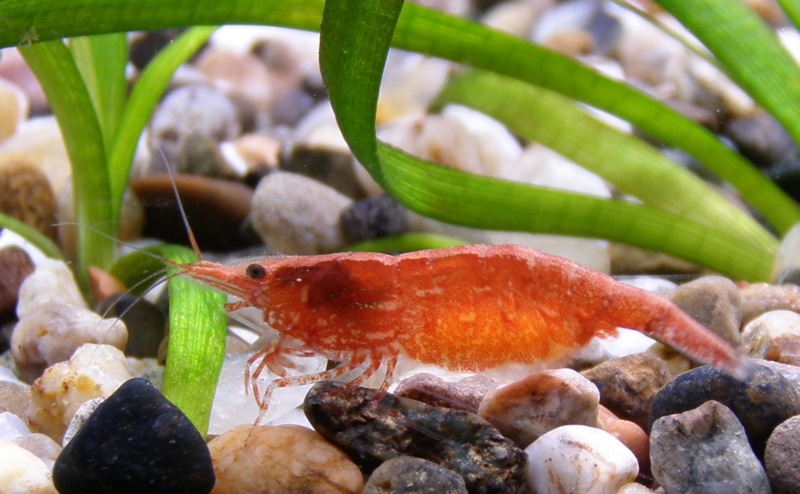 For a starter Red Cherry shrimp would be the best species as they are less expansive, easy to breed and comes in attractive colours. 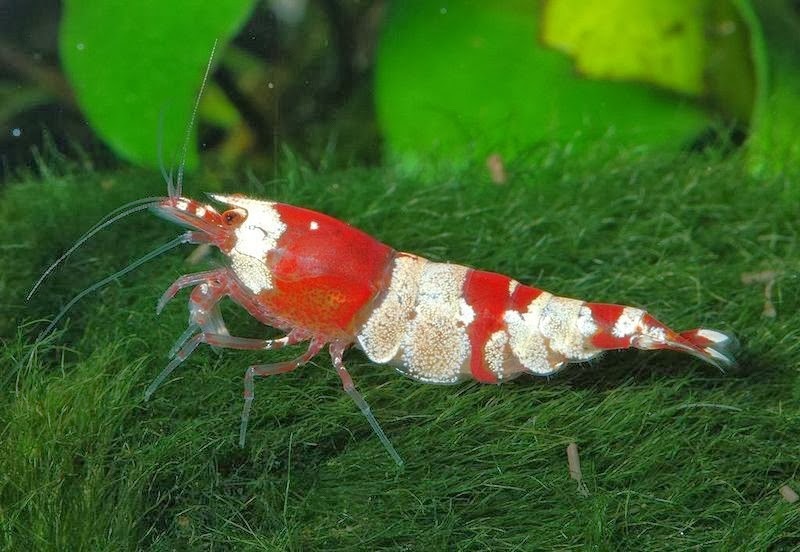 It is also not advisable to keep different shrimp varieties in the same tank as they will interbred and this will cause the colouration to be off because all these shrimp such as Cherry Red and Crystal red Shrimp are product of genetic selection. 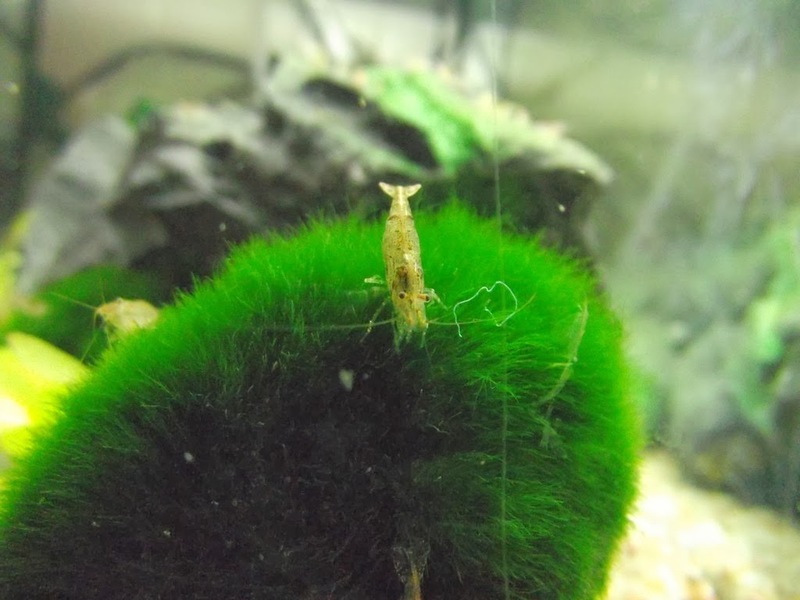 Most shrimps are algae eater and scavenger. Feeding is best done once a day as they can easily scavenge for their natural food amongst the aquatic plants. Only feed an amount of food that the shrimp can finish within 2-3 hours maximum. It is not good to feed in excess and have food sitting for too long. 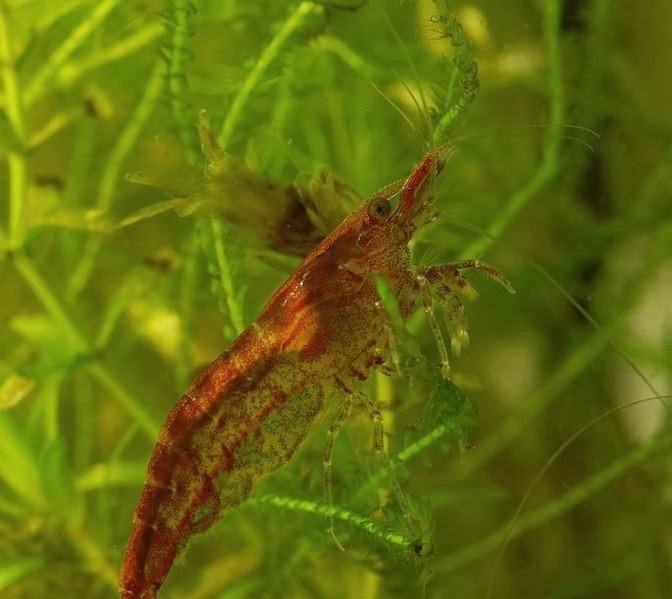 Overfeeding is a known cause of death and can also cause water quality issues especially spike in nitrite and ammonia level which may certainly be detrimental to the shrimp. Weekly 25-30% water change is a necessity in shrimp tank maintenance though shrimp have low bio-load. 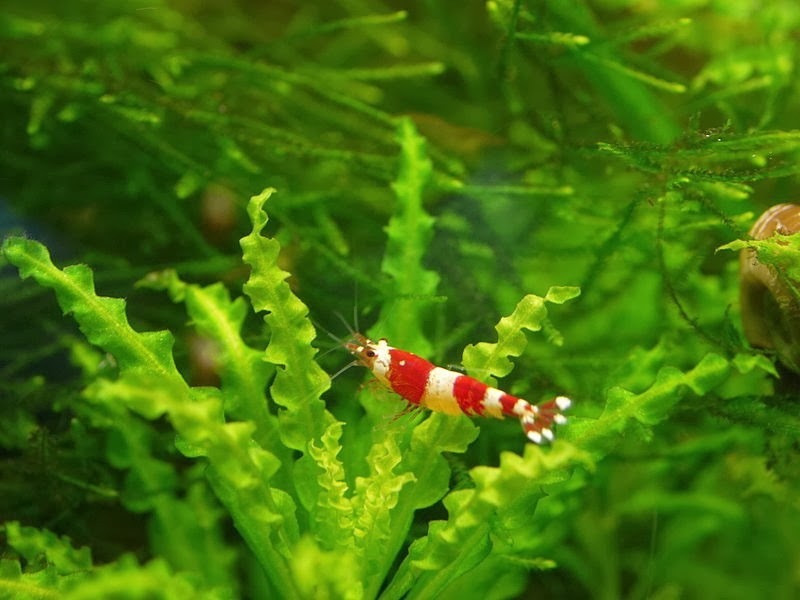 More than a week water change may result in dead shrimp because there will be increase in nitrite and ammonia level which shrimp can tolerate zero level of it. Some get away with doing one every two weeks when they are keeping very hearty species like RCS, but even this is not advisable. Also be careful when washing the sponge filter because surprisingly some baby shrimp may still get sucked up.